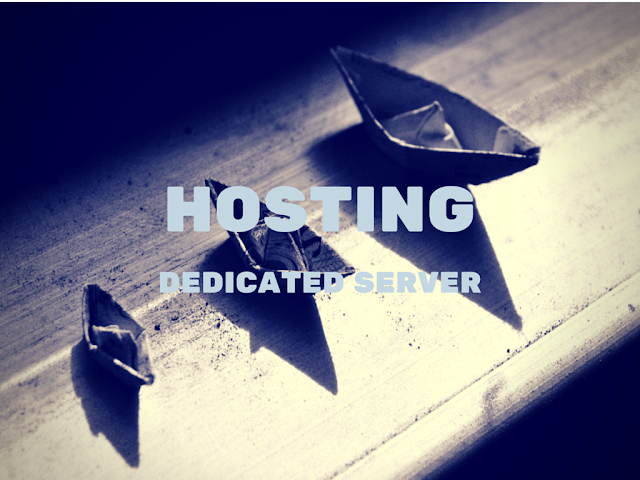 Looking for dedicated minecraft server, dedicated ip address or dedicated server cloud? The best choice is to have dedicated servers managed by your own company. Dedicated server hosting is also the best option to get server uptime and good performance. A dedicated server, as the name suggests, means that the hosting resources are your own and the owner is the sole user of the entire system. Like a stand-alone house, on a large plot of land, it is not shared with anyone or anything. On the other hand shared hosting is a popular choice for indie gamers and startups. One of my friend picked these shared hosting providers for minecraft server hosting. The other benefits attached to a dedicated server include higher performance, email server stability and security. The biggest advantage associated with dedicated servers are the flexibility they offer to businesses. With complete control over the platform, the owner holds sole decision making power over matters relating to hardware and operating systems; unlike shared servers where a best fit solution is installed for multiple websites. Your business is your own. It is not like the others on the internet and therefore the platform your website sits on should also be unique. Dedicated servers are most beneficial for websites that anticipate large amounts of monthly internet traffic or potential spikes in traffic during peak seasons. This is common for indie gamers and small businesses who are trying a new idea and do not have big bucks to setup their own data centers. Using housing as an analogy, imagine sharing a house with a few house mates. You have planned a dinner party at the same time as your house mate does without communicating with one another. Both parties arrive at the same time and there is not enough space or enough plates to go around. The party will crash and the participants will leave with a bad experience. Although there are higher costs associated with this service, the flexibility it provides will ultimately enhance your company’s internet usability. When making a decision on server, you should thoroughly analyse your business, its requirements and those of your customers. Skimping on any form of digital in 2015 is an absolute no however do not be fooled by the technical sales pitches from service providers. Your decision should be solely based upon your business plan, provider status, profitability and customer experience. Don’t just go for the first one option you see and make the salesman work for the deal. There is no harm in you obtaining 3 to 4 competitive quotations and also asking various people for recommendations. You will so see the trend and be able to make an educated decision. Take a look at our 8 key benefits of a dedicated server below. As you go for a dedicated server hosting option you can choose to take a dedicated ip address for your servers. This gives you more administrative control on your server and a unique identity. Just like everything else in digital, your hosting server plays a large part with your websites organic rank. A fast dedicated server assists in reducing bounce rate, improves customer experience and also ensures you are not caught up in a bad neighbourhood. By sharing your resources and server with others, you are relying on them to also play by the rules. If another website on your server is penalised by Google for malicious or frowned upon website code, it may negatively affect your business website too. The industry term is ‘penalisation by association’ and is the process of blacklisting a server that has been found to have malicious content. Not to mention the potential decrease in relevancy for your users. Dedicated servers are often applauded for their reliability. Since there is only one business or organisation operating on the server, they can achieve maximum “uptime” and faster loading times which reduce the likelihood of downtime or poor performance. Businesses are not required to share bandwidth with any other sites, meaning the necessary resources are always available and accessible. The burden of server maintenance should be managed by the hosting provider to ensure that your website is always operating at an optimal level allowing you to focus on your business. Reliability for any organisation, no matter the service, is critical. The last thing you want is to be worrying about something out of your control or a potential future headache. When comparing to shared hosting, and other types of shared networks, dedicated servers provide an unrivalled level of security. Whilst a good initial option for a small business, shared servers give companies and webmaster access to all of the resources on the server, which can present a significant security threat to businesses who store sensitive data. To combat this issue, dedicated servers operate in conjunction with security patches and provide regular updates in order to protect files; minimising the likelihood of a security breach. As the digital world evolves, the security requirements requested by governing bodies grow. Your business should prepare for potential future updates which could resolve in mandatory requirements for servers to have strict secure access. Most website owners would agree that one of the biggest advantages of dedicated servers is the heightened level of control and flexibility. A server that is used solely by one website or business has unlimited access to the various facets of the server. This in turn creates an optimal environment for websites receiving increasing levels of traffic and flexible resources for those unforeseen spikes in website hits. Being the sole user of a server provides your website with the maximum amount of bandwidth which subsequently minimises downtime and eliminates poor speed performance. This is because there is always sufficient bandwidth available which means information can travel faster, providing your users with a more superior experience, even during peak times. A good dedicated hosting provider will also be able to scale up your resources during pre-empted peak traffic times such as seasonal events. Dedicated servers operate at optimal levels because it is only servicing one website or business. User experience is enhanced as load times are faster, even when the website is experiencing heavy traffic. This means that videos and photos will load quickly and smoothly, potentially contributing to a lower bounce rate for your website. Dedicated servers provide businesses with the freedom to customize the server, based on their personal needs and preferences. It can be configured for the purposes of database management or to build a high performing mail server. The benefits of using dedicated server hosting are clear, and from a financial perspective, the investment offers significant value. An optimised online presence and e-commerce have become an integral part of any successful business model. Given that web hosting has the ability influence various elements of your online performance, it is important to choose the type of hosting that best meets the needs of your business. Cameron Sutherland is the Managing Director of Host Geek and his passion for IT and all things digital are clearly evident in his blog articles. He believes that support and reliable service are of the utmost importance in the service sector and thus continuously strives to exceed the expectations of his customers. He enjoys sharing his knowledge on web hosting and offering useful advice to small business owners through various blogs.